Tomtar & troll offer both Tomtar and Trolls based on creatures from ancient Scandinavian and Swedish fairy tales. 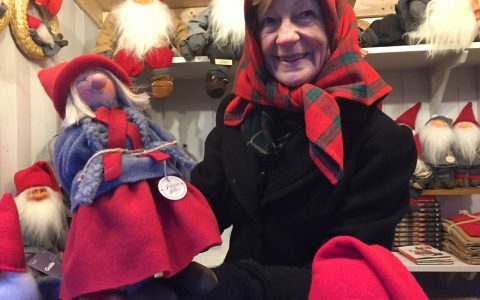 The dolls are entirely hand made by the Swedish artists Kicki and Maija and are available in all imaginable sizes, this is unique handicraft. As they are done by hand, they all have their own character. 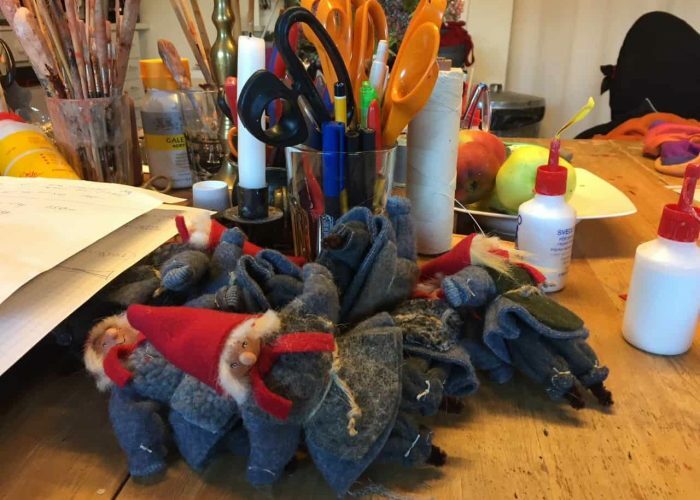 The gnomes and hobgoblins are popular as a gift or to have in your own home. you can buy tomtar in our webshop. We ship them to most places. 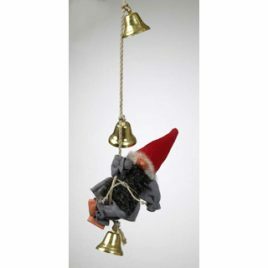 Tomte on a rope with bells. Male. approx. 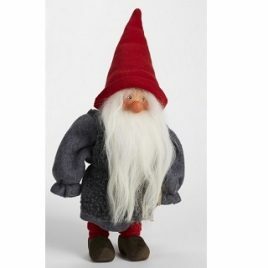 15 cm Tomte på rep med klockor. Manlig. Ca 15 cm. Male. Hight approx 35 cm. 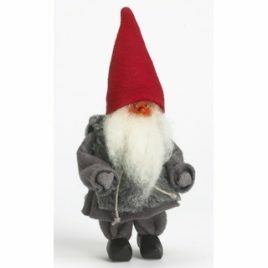 This is the Tomte (gnome) in our advertising Manlig. Höjd ca 35 cm. 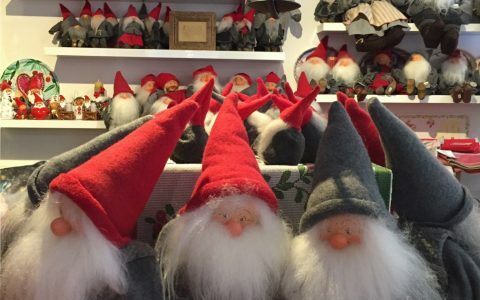 Det här är tomte som finns med i Tomtar & Troll´s reklamfilm. In Swedish legend there are trolls. There are mainly two sorts of trolls in the Swedish folklore. They can live for a long time. They are know as hobgoblin. Be aware, they can be a bit naughty. 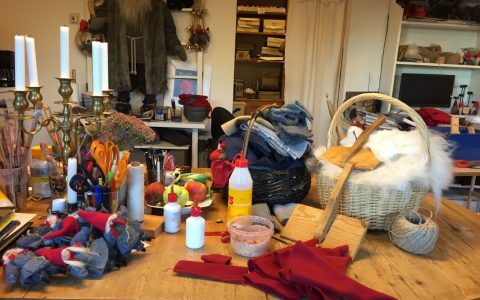 ”Tomtar and Troll” in the old town (Stockholm) is part of another shop called Monica design. 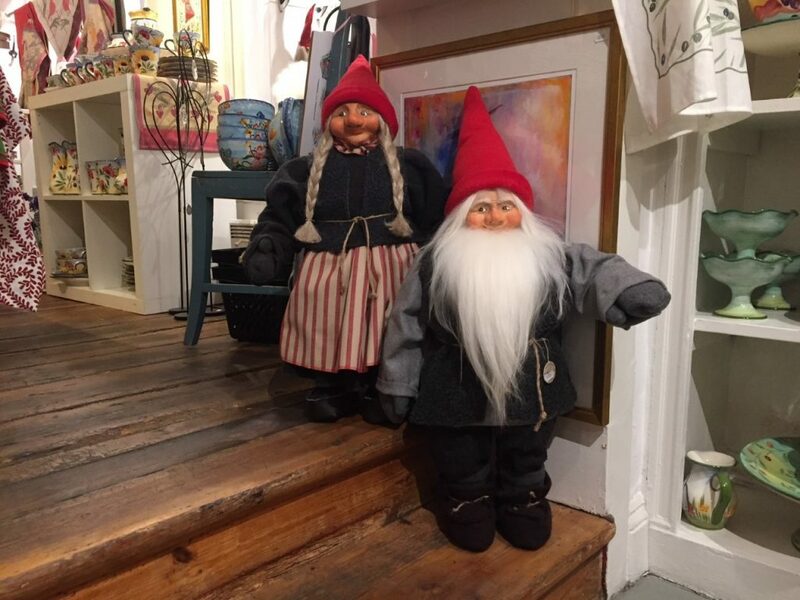 You can buy both Tomtar & Trolls dolls in the shop. 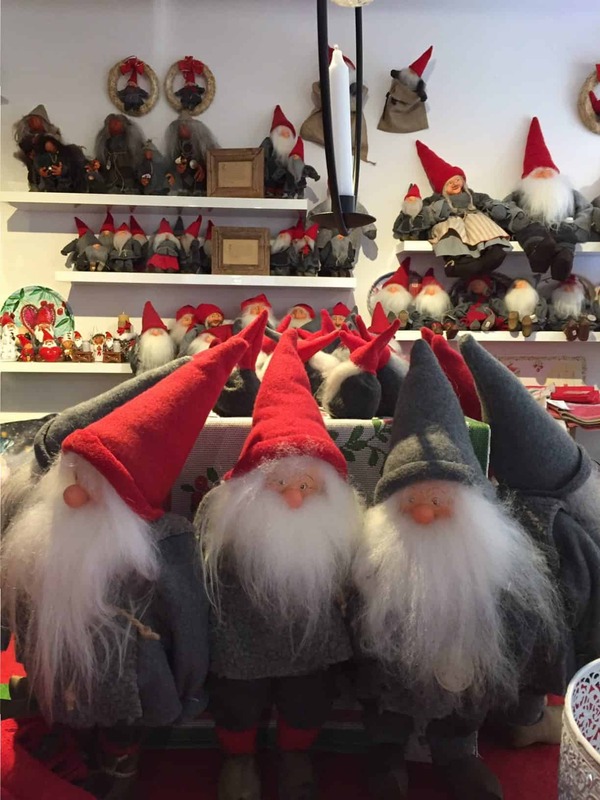 The shop is located at the address Tyska brinken 20 old town Stockholm, it is close to the German church. Opening hours at this time of the year. Monday-friday: 11:00-17:00 Saturday: 11:00-16:00 Sunday: closed. The shops earlier addresses have been Österlånggatan 45 and Södrabenickebrinken 4. But now you find it at Tyska brinken 20. 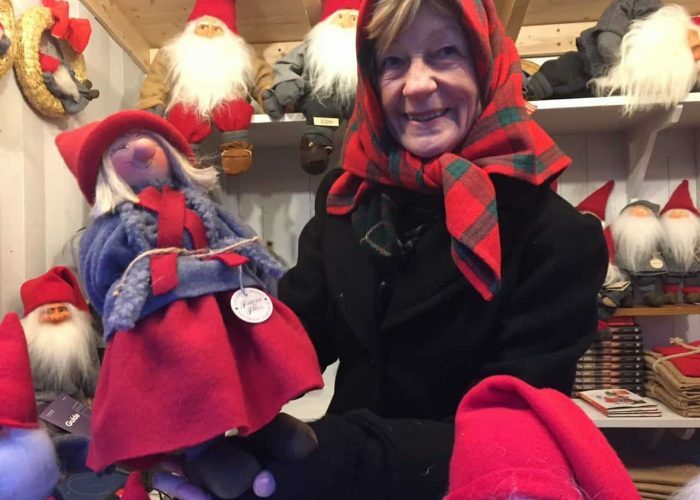 In the last couple of years we have been present at the popular Skansen Christmas market. 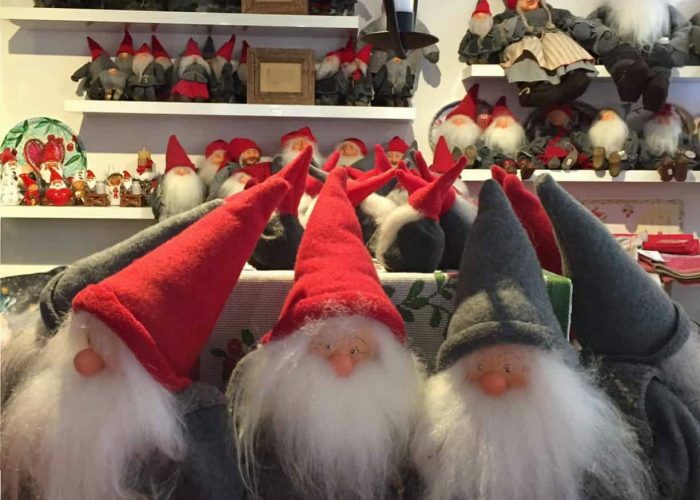 Christmas market is called Julmarknad i the Swedish language. The market is at the open-air museum Skansen in Stockholm. You can read more about our presence on our webpage.